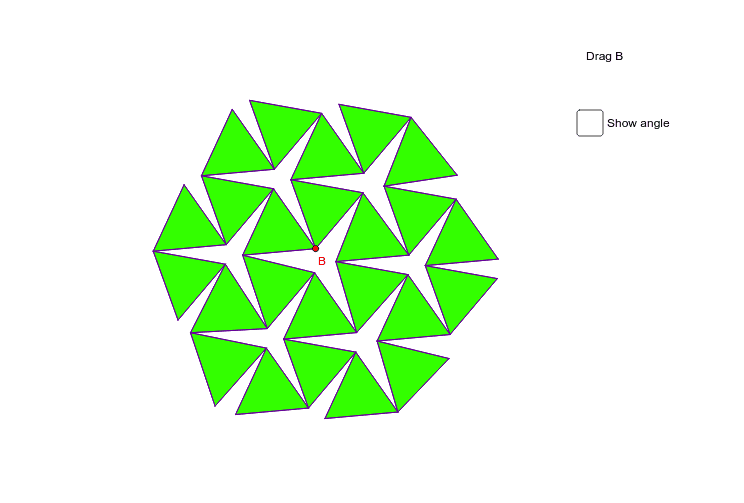 Drag B to form a tiling of triangles. Open the empty spaces to form a tiling of green triangles and three-pointed stars. For what range of angles will you get three-pointed stars? Form a tiling of green triangles and big white triangles. What angle will give you white equilateral triangles? Form a tiling of green triangles and white hexagons. What angle will give you regular hexagons?